Create a signature for workdays and weekends with fashionable men's clothing and accessories from Parks. We carry a variety of men's designer suits that help you achieve a look of distinction in the office. When you leave work, put on casual apparel from some of the industry's top brands. Additionally, we help you complete your business and casual outfits with stylish men's shoes. 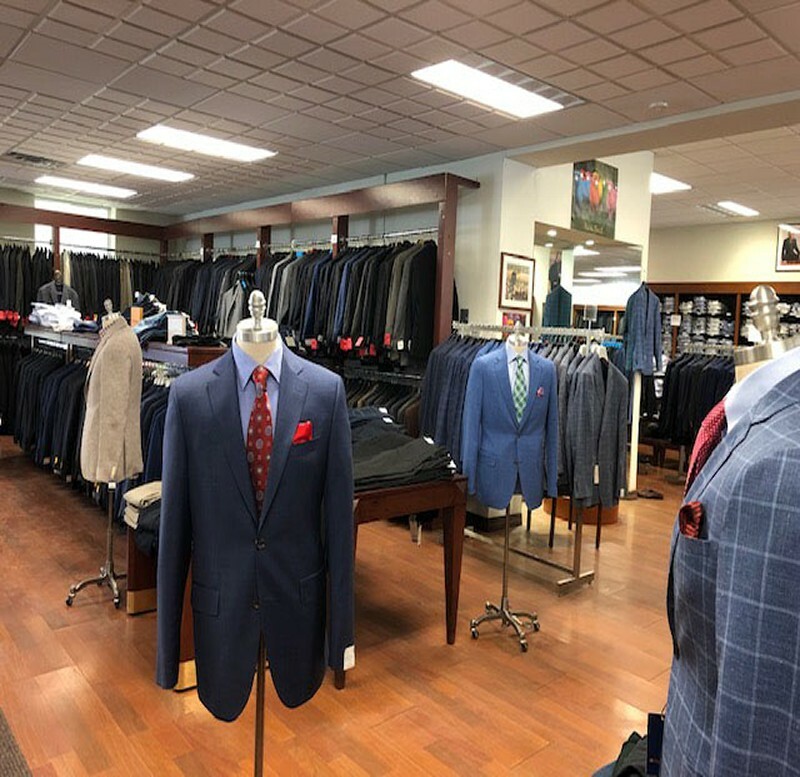 We have a wide selection of suits, sports jackets, and trousers from some of the world's most recognizable brands. 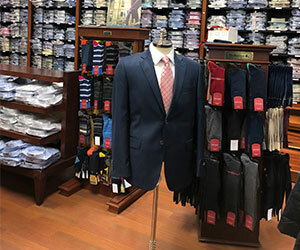 Our aim is to keep a diverse inventory of timeless, high-quality menswear that will serve your personal and professional needs for many years. We love helping our clients find the look that is right for them in an environment that is elegant and relaxing. To complete your business ensemble, we offer a range of excellent ties, pocket squares/silks, cufflinks, belts, and dress socks. We have a marvelous selection of men's dress and casual shoes to complement your outfits. From wingtips to driving mocs, we're sure you will find something that will leave you feeling confident and satisfied. We insist on carrying the best footwear from known American brands.